USAID Green Invest Asia is a technical assistance facility working to catalyze $400 million of private investment for sustainable agriculture and forest landscapes across Asia by 2022 by matching small and medium-sized enterprises with green financing sources. The facility offers technical services to agriculture and forestry companies to improve the sustainability of their supply chains, enhance commodity production and meet standards for sustainability certification. USAID Green Invest Asia also supports private financial institutions grow their sustainable agriculture and forestry portfolios, structure deals to reduce investor risk and match investors to a pipeline of profitable and investment-ready low-emissions businesses in our initial focus countries: Cambodia, Indonesia, the Philippines, and Vietnam. This facility’s goal is to reduce CO2 equivalent greenhouse gas emissions by 25 million tons by 2030. By hedging currency risk, TCX contributes to more sustainable development in emerging and frontier markets. Its aim is to develop local capital markets, while protecting its shareholders’ investments and their clients. The Currency Exchange Fund (‘TCX’) was founded in 2007 by a group of development finance institutions (DFIs), specialized microfinance investment vehicles (MIVs) and donors to offer solutions to manage currency risk in developing and frontier markets. These solutions consist of financial instruments – swaps & forward contracts – that enable TCX’s investors and clients to provide their borrowers with financing in their own currency, while shifting the currency risk to TCX. They are therefore protected from any currency volatility. Proparco is a subsidiary of Agence Française de Développement (AFD) focused on private sector development. It has been promoting sustainable economic, social and environmental development practices for the past 40 years. Proparco provides funding and support to both businesses and financial institutions across Africa, Asia, Latin America and the Middle-East. It seeks to partner projects in key development sectors – infrastructure (with a specific focus on renewable energies), agribusiness, financial institutions, healthcare and education, etc. – and to boost the contribution of the private sector to achieving the sustainable development goals adopted by the international community in 2015. As a means to this end, Proparco finances businesses that are instrumental in creating decent jobs that pay decent wages, in supplying essential goods and services and in battling climate change. We invest in growth and frontier markets, supporting jobs and income generation, and improving people’s lives in those parts of the world where this makes the biggest difference. We invite others to partner with us - lowering thresholds for other financiers, opening new markets and opportunities. We can do this because of our ability, experience and appetite to take the most challenging investments and carry a significant share of the risk. Funding Business Aspirations, Creating Social Impact! NeoGrowth is a pioneer in lending based on the underwriting of digital payments data. The Company’s proprietary technology platform offers unsecured loans to merchants who accept card or other digital payments from customers. Flexible repayment is a hallmark of the NeoGrowth business, providing customer’s small daily auto-repayment facility from card-based sales. NeoGrowth’s mission is to have a positive social impact on the financial lives of small and medium business merchants across India, more than 50% of whom are creditworthy but until now have been excluded from accessing loans based on traditional underwriting methods. NeoGrowth is backed by renowned investors, namely Omidyar Network, Aspada Investment Company, Khosla Impact, Accion Frontier Inclusion Fund – Quona Capital, IIFL Seed Ventures Fund and Leapfrog Investments. INTL FCStone (NASDAQ: INTL) is a diversified global financial services firm providing execution, risk management, and advisory services, market intelligence and clearing services across asset classes and market around the world. INTL FCStone’s Global Payments Division facilitates Foreign Exchange and Payment services to international aid and development organizations, government agencies, and top-tier global banking institutions. It facilitates payments in more than 140 local currencies to over 175 countries. The Division maintains an extensive proprietary network of over 350 local correspondent banking relationships worldwide and leverages these trusted relationships to ensure efficient and secure cross-border payments. Cardano Development was initiated by Cardano, a company that advises pension funds and other stakeholders in the retirement industry on investment and risk management. Its core business is to provide quantitative risk management advice advise, but also assist in pension (re)design and legislation. Cardano’s competitive advantage and leadership in its industry is driven by its culture of quantitative and behavorial risk management and innovation, which has become an integral part of its operations. It has also underpinned its motivation in establishing Cardano Development and Cardano Education. As a pioneering impact investor, we foster inclusive growth while providing attractive returns for investors. BlueOrchard was founded in 2001 by initiative of the UN as the first commercial manager of microfinance debt investments worldwide. We offer premium investment solutions to qualified investors and provide debt and equity financing to institutions in emerging and frontier markets. To date, BlueOrchard has invested USD 5 billion in 350 institutions across 80 countries, providing access to financial and related services to over 37 million low-income individuals. BlueOrchard Finance Ltd is a licensed asset manager, authorised and supervised by the Swiss Financial Market Supervisory Authority FINMA. The Luxembourg entity, BlueOrchard Asset Management (Luxembourg) SA is a licensed alternative investment fund manager (AIFM), authorised and supervised by the Commission de Surveillance du Secteur Financier (CSSF), the Luxembourg supervisory authority. 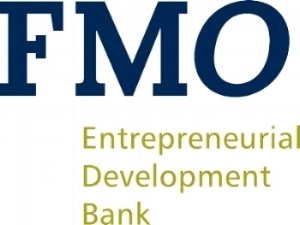 Frontclear is a development finance company focused on catalyzing stable and inclusive interbank markets in emerging and developing countries (EMDC). Frontclear facilitates access by local financial institutions to interbank markets through providing credit guarantees to cover a transacting institution’s counterparty credit risk. This on the condition that local currency assets can be used for collateral management purposes. Frontclear’s Basel III compliant guarantees specifically cover due payment of the Early Termination Amount under ISDA contracts and corresponding claims under GMRA. The guarantees are in turn counter-guaranteed by KfW, a AAA-development financial institution. The guarantees are complemented by a technical assistance programme (FTAP). FTAP supports targeted and planned interventions in money market development, which reduce the operational and country risks obstructing interbank trading. European Bank for Reconstruction and Development (EBRD), the Dutch development bank FMO, the Financial Sector Deepening Africa (FSDA), the French development bank Proparco, The Currency Exchange Fund (TCX), the UK’s Department of International Development (DFID) and the German Ministry of Development Cooperation (BMZ). Frontclear’s guarantees are counter-guaranteed by KfW, a AAA-rated German development Bank. The mission of the Belgian Investment Company for Developing countries (BIO) is to support a strong private sector in developing and/or emerging countries, to enable them to gain access to growth and sustainable development within the framework of the Sustainable Development Goals. BIO invests directly and indirectly in SMEs in developing countries and as such makes a structural contribution to the socio-economic growth of those host countries. Our vision is to positively impact low- and middle-income households in emerging and frontier economies in areas such as job creation, food and agriculture, housing, and energy. Our mission is to contribute to sustainable development in emerging and frontier markets by providing traditionally underserved businesses increased access to capital and financial services. We aim to do this by offering specialized investment solutions that connect socially responsible investors, to micro-, small and medium enterprises and value chain development projects in low-income economies in Africa, Latin America, Eastern Europe and South-East and Central Asia. Serving as a bridge between developed capital markets in the West and financial sectors in developing countries, we improve access to appropriate financial services for entrepreneurs at the bottom of the pyramid. By providing capital and advisory services, we support the expansion of viable financial service providers in all stages of development. Thanks to our network of regional offices and large team of experts with strong portfolio management skills, we are able to stay close to our investees. Due to the fact that we intensively promote social performance management, our investors receive both strong social returns and good financial returns on their investments with Triple Jump. Triodos Investment Management is a 100% subsidiary of Triodos Bank, one of the world’s leading sustainable banks. Since 1980, the bank has pioneered a groundbreaking, commercially successful approach to money that values people, the environment and culture, as well as profit. Triodos Investment Management is a globally recognised leader in impact investing, managing direct investments ranging from sustainable energy infrastructure to microfinance institutions. Triodos Investment Management currently has EUR 4.2 billion in assets under management, investing in both Europe and emerging markets with a range of risk-return profiles and financial instruments. Individuals and institutions can invest in Triodos funds selected from themes including climate and energy, inclusive finance, sustainable trade, food and agriculture, arts and culture, sustainable real estate and listed companies with above average environmental, social and governance (ESG) performance. We offer financing, advice and support to private sector enterprises operating in developing and emerging-market countries. Our customers can rely on our expertise: They can benefit from our market knowledge, our 14 locations worldwide and our international network. For entrepreneurial success and development. DFDL was established in 1994 and founded on a unique vision: to create an integrated legal, tax and investment advisory firm, with in-depth knowledge of the jurisdictions where we are based to provide tailored, efficient and practical services across our core areas of expertise. Our integrated and expanding network of 13 offices and affiliated firms throughout 9 countries in Asia stands as a testament to these goals. Our dedicated professionals exhibit the acumen and insight necessary to assist you in navigating the various legal complexities and challenges that this region presents. We strive to provide concise, commercially focused and innovative advice, drawing on over 20 years of wide-ranging experience and finely tuned local knowledge of the countries in which we operate. MFX, created in 2009, gives impact investors the ability to protect themselves against the risk of currency movement. Using hedging, currency risk can be taken out of the impact investment value chain, thus creating a more stable, secure impact investment business model. Grupeer is an innovative fintech company operating an online peer-to-peer investment platform. Grupeer represents a place, where non-banking credit institutions can sell Claim Rights from its loan portfolio to a pool of independent investors. Such sale of Claim Rights through our platform allows companies to increase their working capital and to obtain funding to expand operations. This model is beneficial for both parties since individuals can earn return, higher than offered by bank deposits and less volatile than offered in equity market. Since establishment in 2017 we have become one of the main players on the European marketplace, gained an impeccable reputation and investors have even greater demand for products on our platform than we offer. We can raise significant amount of funding in a short period of time. Musoni is a multi-award winning, cloud-based, core-banking system used by organisations all around the world. The software has been consistently proven to help financial organisations improve efficiency, reduce costs, and expand outreach into the rural areas where the majority of the unbanked live. Aside from the core banking functionality, Musoni has pioneered the use of new technology in microfinance, and as such is integrated with multiple mobile money transfer services, includes an SMS module for the sending of automated payment reminders, a tablet app that loan officers can use for offline data capture, a mobile banking app for clients and credit scoring to improve lending decisions. Musoni therefore helps financial organisations to leverage the latest technology sweeping across Africa, but at a fraction of the cost associated with traditional banking systems. Our vision is to lead the new generation of local commercial banks by excelling in customer delivery through insight empowered employees, smart use of technology and a full range of highest quality products and services.